Cones mediate the perception of white in photopic conditions. Rods mediate the perception of white in scotopic conditions. The rod system is not needed for cones to mediate white perception and vice versa. Cones code for red, green and blue. The remaining colors, as you rightfully state in the question, can be generated by mixing these three colors, as shown in Fig. 1. The millions of different color hues that we can perceive are generated by the retina and the brain by mixing colors and adding the weight that each cone class adds to the color percept (Fig. 2). As you can see in Fig. 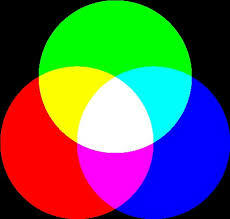 2, when all three basic colors are present in equal amount, perceptually a white color is perceived (the middle point of the color triangle). That is, the combination of co-activation of each cone class yields the perception of white, i.e., without the need for rod activation. Rods are not needed for color vision, including the perception of white or black. In fact, under photopic (well-lit) conditions the rods are adapted to high light levels and are less responsive; their photopigments are said to be bleached and the rods become unresponsive to light. Hence, under photopic conditions the contribution of rod-mediated vision is low (Ambler, 1974). Rods mediate vision in low-lighting conditions (scotopic vision), as opposed to photopic vision where sufficient amount of light is present to feed the photon-hungry cones. While rod-mediated vision operates at much lower lighting conditions than cone-vision, it only mediates the perception of low-resolution gray-scale images. Not the answer you're looking for? Browse other questions tagged vision neurophysiology sensation perception or ask your own question. Why is it necessary to have both cone and rod cells in the eye? How well does the event-driven DVS sensor approximate the rods of the retina? 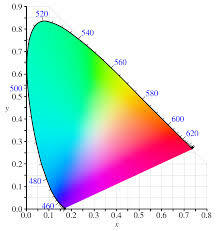 What is the science behind the inaccurate perception of colors? Do low light levels during development affect the distribution of rods and cones in the retina?